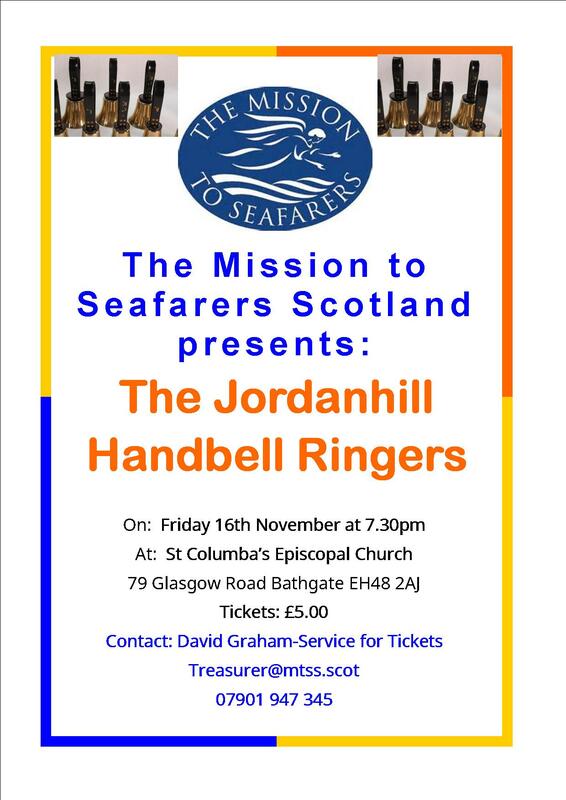 Jordanhill Handbell Ringers will once again be performing in St Columba’s Episcopal church, Bathgate. Not only have they performed across the U.K. but also throughout the world including Canada, Australia and Korea to name a few. The Concert had been arranged by the Mission to Seafarers Scotland with all proceeds going to support their work in Scotland. The Concert will be held on 16th November at 7.30pm with tickets at £5.00 (light refreshments included).